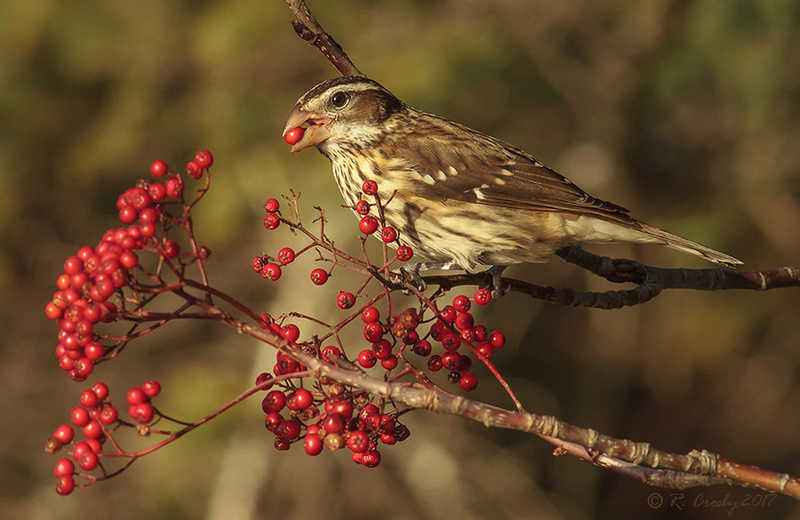 Shortly after the male arrived, there were at least two female Rose-breasted Grosbeaks feeding in the same area. I managed to find one in good light late in the day on one occasion to get these shots. 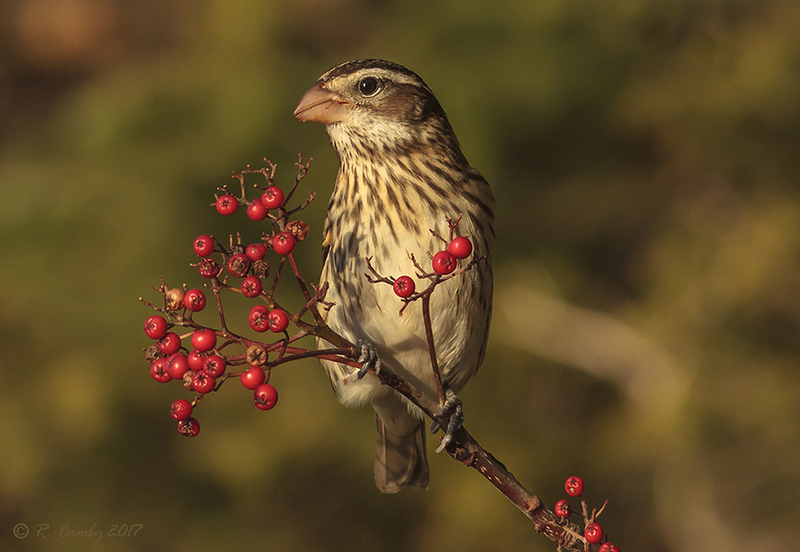 These birds somewhat resemble a large female Purple finch but with a much larger bill and more striking head pattern. November 7, East Jordan.